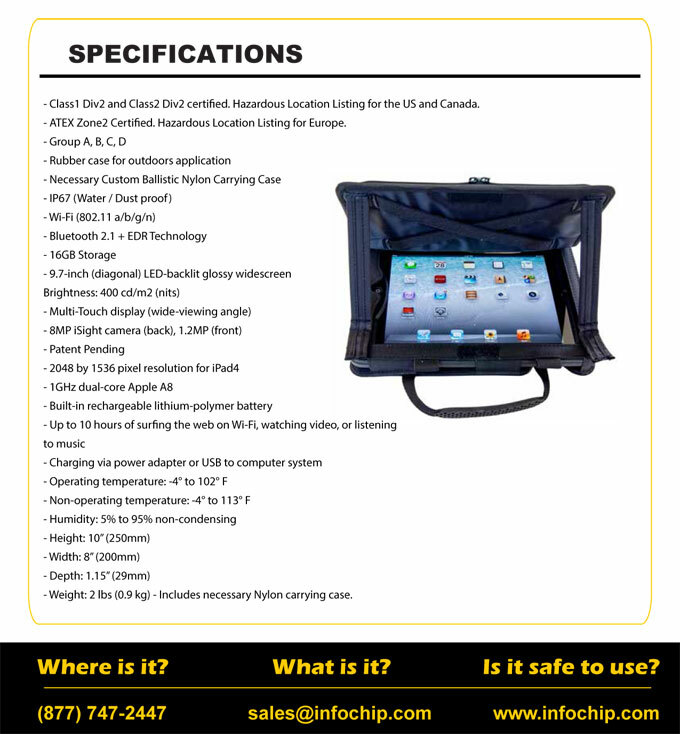 Use the most popular tablet in the world in a Class 1 Div 2 and ATEX Zone 2 hazardous area. The XCRiPad air2 was designed to resist to shocks, vibrations, dust and water in indoor and outdoor environments. The XCRiPad Air 2 allows you to connect securely to your Wi-Fi or 4G.